"Be the first one to try Microsoft Office Professional Suite." 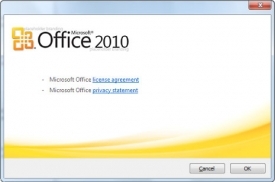 Microsoft has made available a trial version of the Microsoft Office 2010 Suite Professional. Undoubtedly, one of the best ones (if not the best) on the market. This version of Microsoft Word includes a big number of improvements. Underscores its interface which is totally integrated with Windows 7 thanks to the ribbon interface which was use in the previous version 2007. 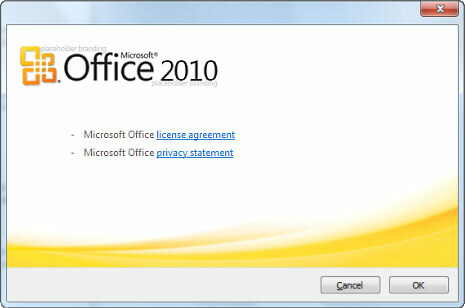 One of the main improvements of Microsoft Office 2010 use is the new function of previewing of the text we are going to paste for knowing if it fits the good the paragraph, new translating tools, small graphics on Exel which get integrated with the text, merging of conversations in GMail Outlook style, improvements on playing videos on PowerPoint and so on. Moreover, Microsoft Office 2010 consumes less computer resources than its predecessor, a thing which with no doubt is obvious on continuous use of the application. This version is free for its trial period of 60 days and later it is necessary to get the license number.